AutoTURN® Rail includes features for the planning and design phase that dramatically decrease design time and increase efficiency. In addition, light rail designers can achieve safer designs with this productivity enhancing tool. Conflicts are highlighted and can be corrected in a fraction of the time the manual process requires. Learn how railway engineers and consultants are using AutoTURN® Rail to design, analyze their projects to reduce costs. 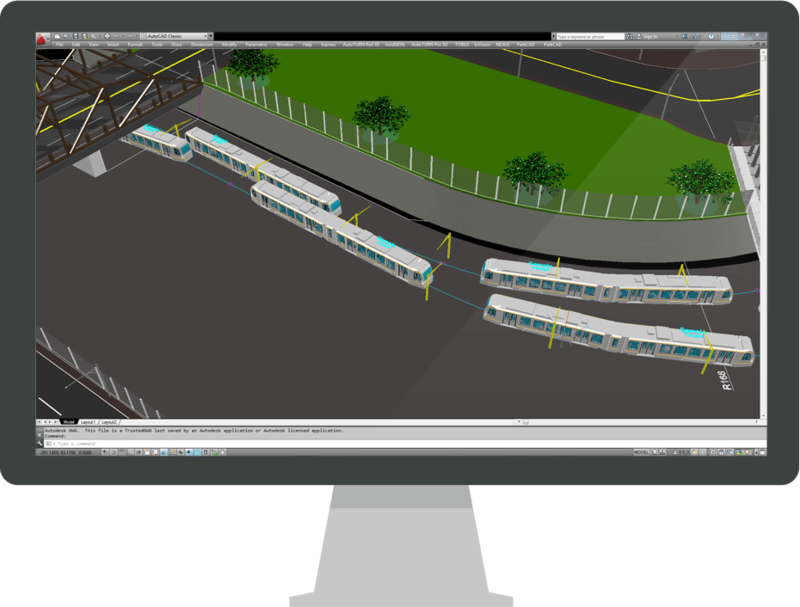 The screen shots provide an inside look at the built-in functionality of the software for the design and planning of modern railway systems. AutoTURN Rail takes all the guesswork away allowing exploration of more 'what-if scenarios' without adding extra design time.